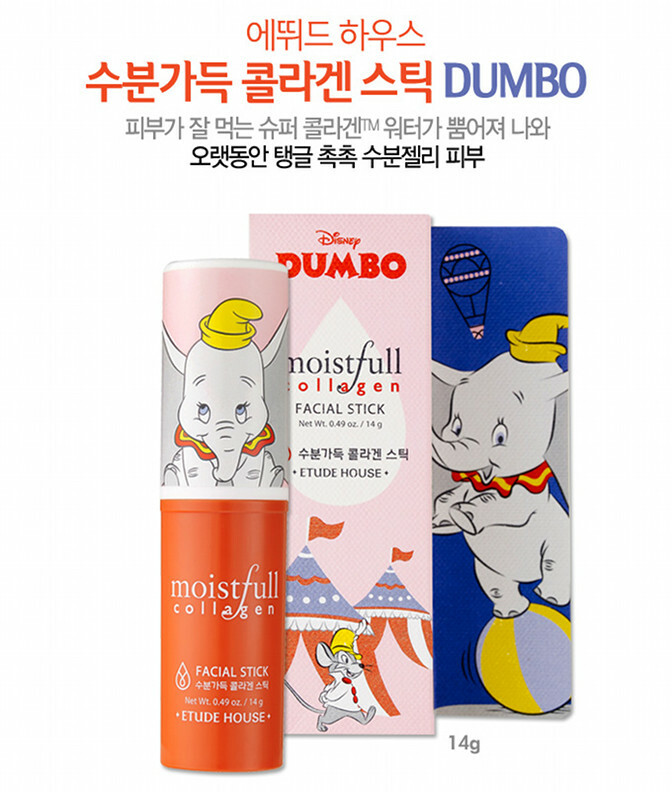 Etude House - Moistfull Collagen x Disney Dumbo Collection | Memorable Days : Beauty Blog - Korean Beauty, European, American Product Reviews. 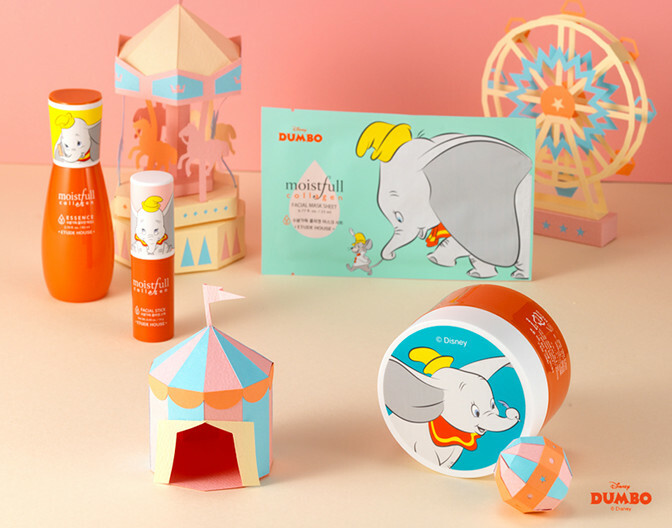 Etude House has released a collaboration with Disney Dumbo and the packaging looks so adorable! 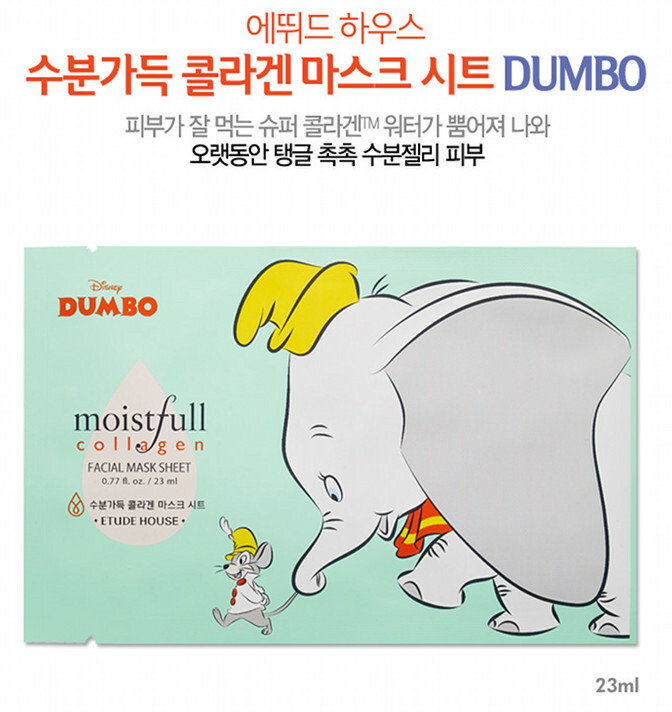 A few items of their moistfull collagen collection has been repackaged into a Dumbo design, so the formula didn't change, only the packaging. I am a sucker for cute packaging, I just received the collagen cream and sheet mask, so I will review them in a separate blogpost. 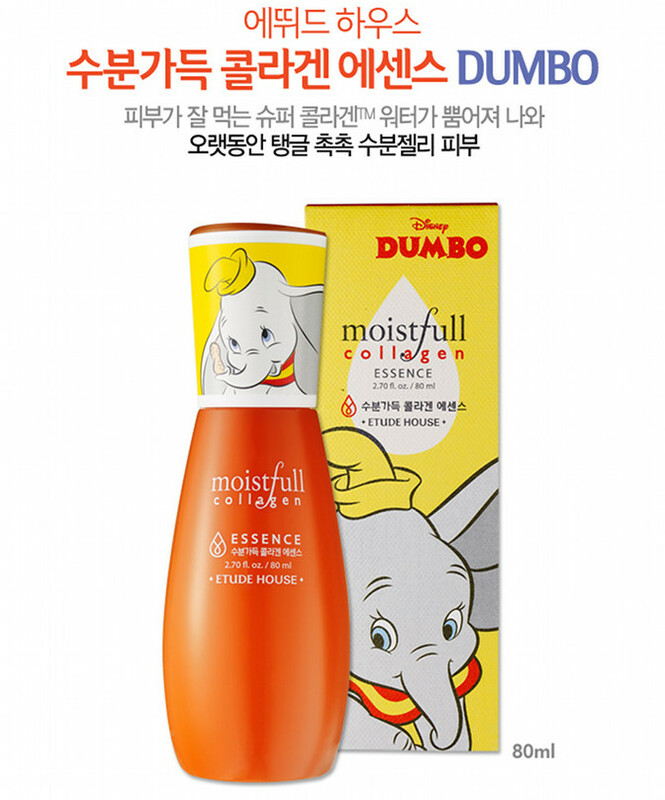 In today's blogpost I will show which products the Dumbo collection contains. If you want to stay up to date with new collections in the K-beauty world, follow me on my 2nd instagram account: @Sokobeauty. 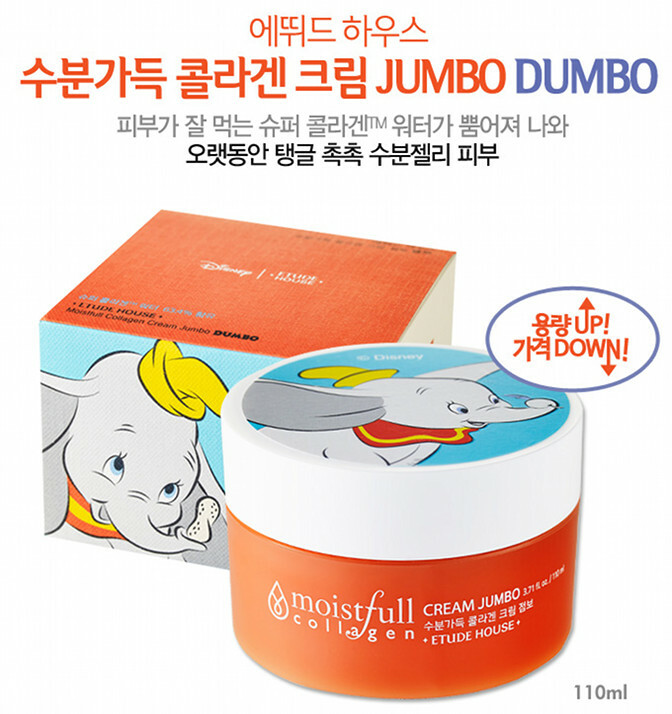 The moistfull collagen cream is now in a jumbo size in a Dumbo packaging! It contains 110 ml, which is a lot! This collection is sold at kpoptown.com and at cosmetic-love.com. Stay tuned for my review about some of these items! note: pictures are from the official etude house website, see disclaimer.